Accepting our children’s emotions sounds simple in theory, but for most parents I know (and me) this is an enormous challenge. The powerful instinct we have to alleviate our children’s discomforts is, obviously, healthy and positive when their feelings reflect a need that we can fill, like offering food when they’re hungry or helping them to bed when they’re tired. But just as often, children have feelings that we cannot and should not try to fix, because in these instances, the true “need” reflected is for children to safely experience and share the feelings. 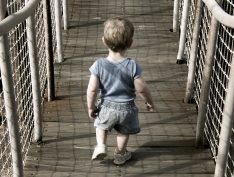 Their pain is relieved when we can bravely roll out the red carpet to welcome these emotions, even if they seem totally unreasonable and over-the-top as children’s emotions often do. But if our children are frightened or anxious, isn’t it our job to insist, “Don’t worry, there’s nothing to be afraid of,” assuring our children that they’re safe and easing their minds? We can’t allow them continue to feel afraid, can we? We calm ourselves first so we can be receptive and listen from a place of confidence and strength, rather than projecting discomfort or judgment. We fully accept the feelings, which is sometimes all children need to be able to move through them. We are open to exploring the fears with genuine curiosity (i.e., “What worries you most?” or “What does the monster look like?”). “I wanted to share a success story with you. I’ve read No Bad Kids three times! With each reading, my expectations of my little guy improve. I am able to see him as a whole person, and I’m also able to see him as the little boundary-testing-explorer who needs a firm anchor and gentle leader in me. 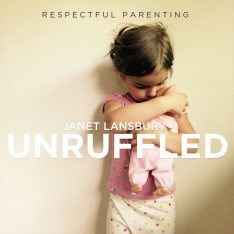 I’m still learning and struggling, but I’m definitely less ‘ruffled’ these days. Thank you! “I have been sharing your web site and podcast with a lot of friends this week and revisiting some of my favorite posts from the past. I wanted to share a really lovely success we’re having in our family. 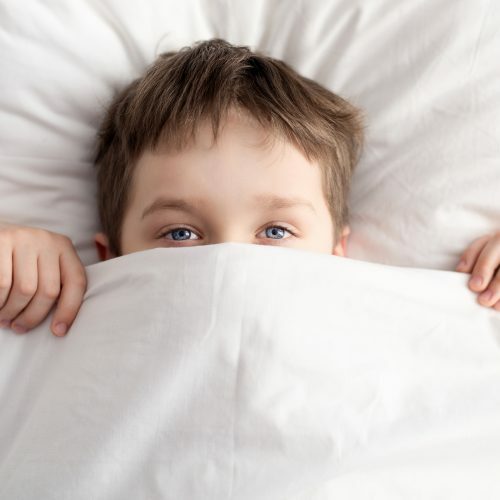 My son is 3 and a half and for the past six months he’s been having a lot of bedtime fears. At first it was fear that pirates would come into our room. I got a night light, gave him some extra kisses, and explained, “Pirates are on the ocean, they don’t come to houses.” Then it was the scary owl outside the bedroom window. It was clear that we were engaged in a game of “whack-a-mole” where each time we calmed the fear in one place it popped up somewhere else. Finally, I took a step back and I thought about accepting the feelings and how I could take that approach with him. Now when he says he’s afraid as I tuck him in at night, I tell him, “Yeah, you’re feeling afraid. It’s okay to be afraid, that feeling won’t hurt you. Being afraid is a feeling like sadness is a feeling, it will come and go. You’re safe, and it’s okay to be afraid.” I can see him physically relax. In truth, our children’s feelings are gifts – precious windows into their minds and hearts — rather than problems for us to fix. These exchanges are quality time at the highest level. If we can consistently convey to our kids that we can bravely face whatever they might be going through – we aren’t afraid — then they will be able to accept these feelings as well. Our ability to accept all the negatives life offers us will help inform and shape a lifelong sense of security, comfort, and happiness. Yeah, you’re feeling afraid. It’s okay to be afraid, that feeling won’t hurt you. Being afraid is a feeling like sadness is a feeling, it will come and go. You’re safe, and it’s okay to be afraid. This article couldn’t have arrived in my inbox at a more perfect time. Thank you for sharing these insights and for all who share their personal parenting experiences! It is so very helpful to know that other parents go through similar challenges, and learn what has helped them navigate in a healthy way. This reminds me of my daughter when she says she doesn’t like her brother. I let her know that it’s okay to feel that way sometimes, and it ends up calming her instead of playing into the drama. Actually Janet I would love to hear your perspective on fostering good sibling relationships. I find it hard to navigate the dynamics of my two toddlers, especially because I grew up with a sibling much older than me. Thanks for all that you do! This article is great. We have struggled with sleep all of my 3.5 yr olds life. My husband or I now take turn sleeping in the guest room across the hall from our 3.5 yr old son. It’s the only way he will stay in bed and sleep. I will try these things in hopes that mom and dad can get back into our own bed together. But how do you physically keep a child in their room. We switched the lock around on his door per suggestions from friends. But I don’t think locking g him in his room is a good idea. It does t feel very loving. And suggestions on how to keep him in his room, at bed time, throughout the night, and early morning? We have a light that turns green when he can come out but now that he’s older he just ignores it. And then my husband starts taking privileges away..like the one show a day he is allowed to watch. Any insight would be so appreciated. Thank you for all your wisdom. I was glad to find this and the comments. I’d like to know how you responded to Sonja. THanks, Janet, for your insight. You have changed the future for the better JL. Our sons are lucky we stumbled across you.